economic empowerment in both country of origin and destination, and what policy options might improve this situation. Adopting a gender perspective involves taking into account the specific and different needs of women and men, and is concerned with addressing these different needs in order to allow men and women to fully enjoy their human rights. This report considers the macro-level impacts of gender on financial inclusion, including structural and global-level elements (feminization of migration, sexual divisions of labour under contemporary capitalism, etc. 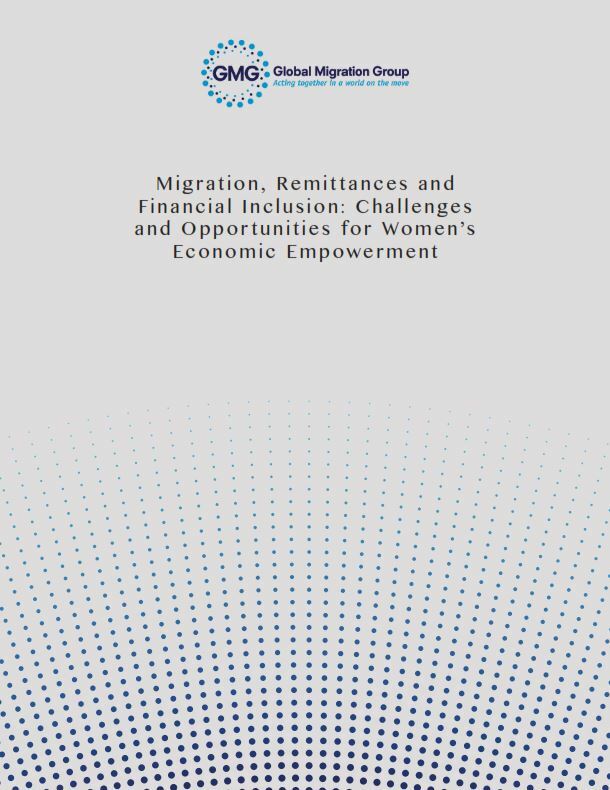 ), meso-level elements such as gendered social norms or expectations and state social protections, and microlevel considerations of migrant remittance sending and spending patterns. By adopting this framework, this report positions financial inclusion and remittances against a broader backdrop of human security, rights and social protection.